These are items that are not part of any of the systems. 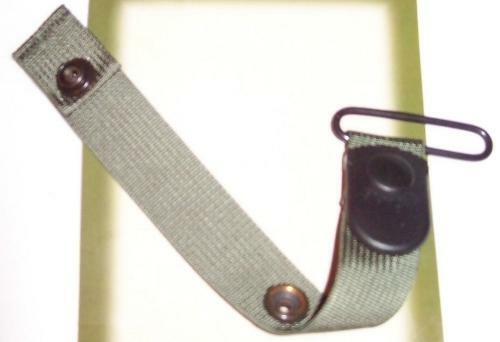 These are items which use the Bianchi designed clip designed to work with the Alice pistol belt. 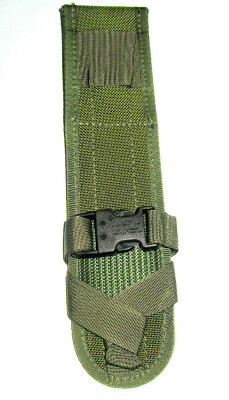 They have special Quick-Lock™ belt fasteners that work 50 times better then the Alice clips. 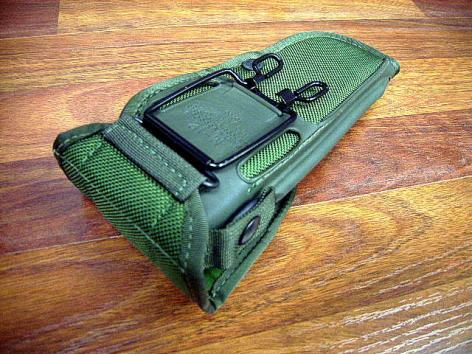 Because the clip works so well with it, these items are still current issue for Molle as well. 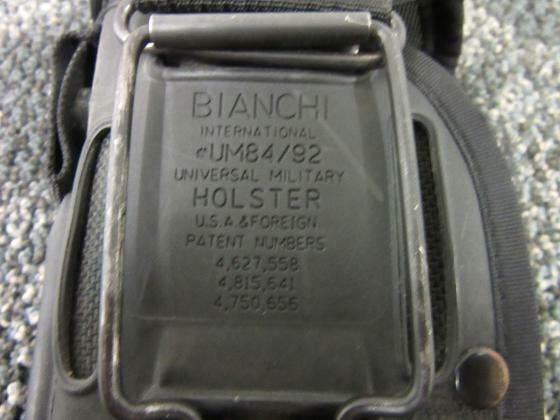 There are a few other random pistol items at the bottom of the page because I had no other place to put them, many of which are made by Bianchi anyway. 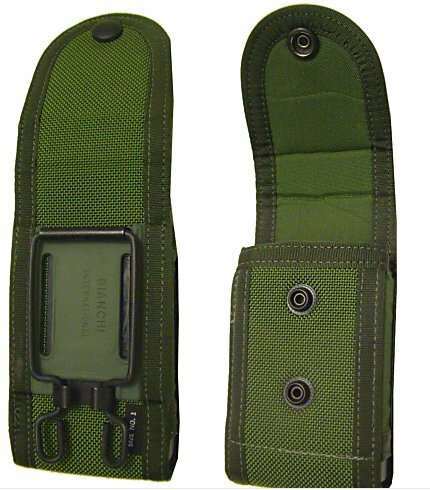 You will find the M9 Bayonet/M11 EOD knife and scabbard here too due to it's bianchi designed clip. 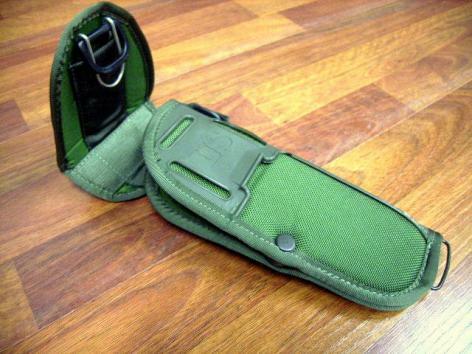 Holster for the M9 pistol, It also has a place to put the M1414 Cleaning Rod for the M9 pistol. The rod usually comes with the holster. Same as the M12, but in leather. 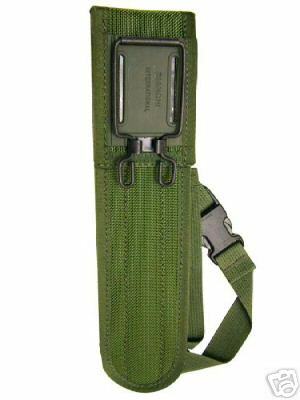 This adapts the M12 holster into a shoulder harness and mag pouch that works with a plain duty belt. Very nice if you can find one. 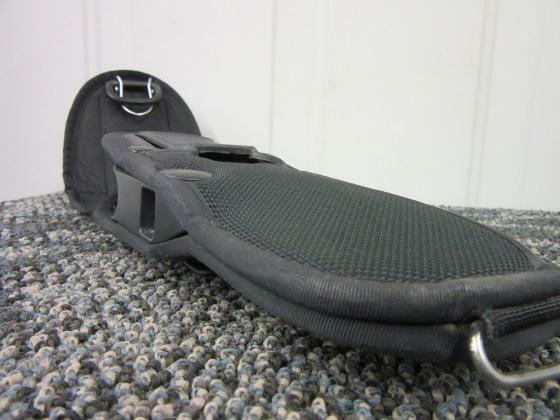 This is made to drop the M12 holster down onto the leg, but it can be used to mount two Alice pouches. One where it attaches to the belt, and onto the drop holster. Awesome add on! 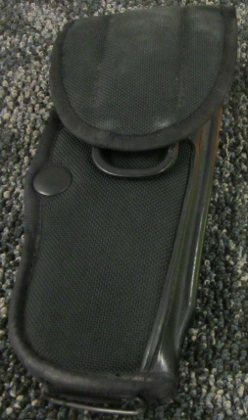 This is holds two pistol mags side by side. 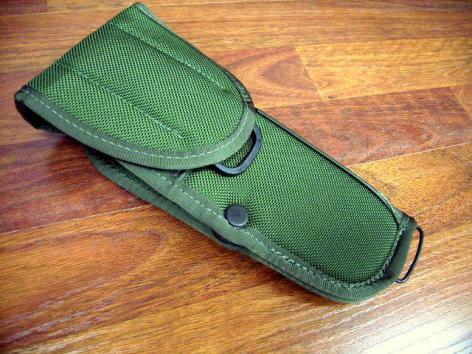 Much like the old canvas pistol mag pouch did. Only this one has two places for the snap to close depending on the size of the mags. 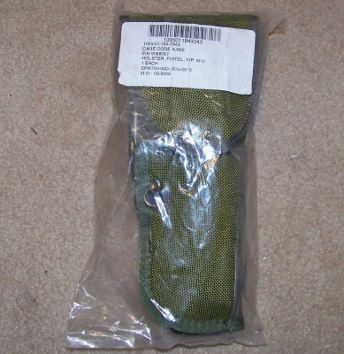 This replaced the M10 scabbard and the M7 bayonet for the M16 series, it's a lot more usefull then the previous one as it has a pouch on the side for a small knife, a pistol magazine, or a sharpening stone. The scabbard is designed to used with sheathed blade as a saw or wire cutter. 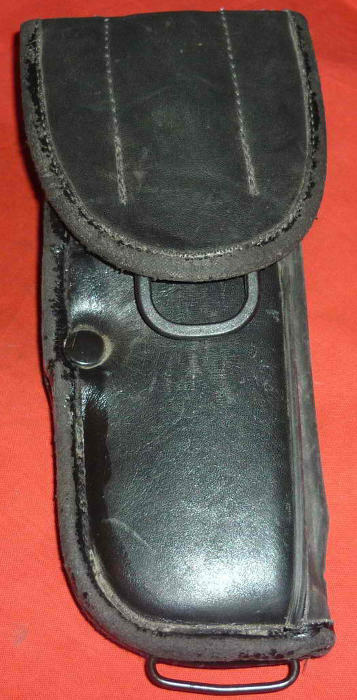 Because of this there is a detachment clip to allow the bayonet to be removed from the clip while still in the scabbard. 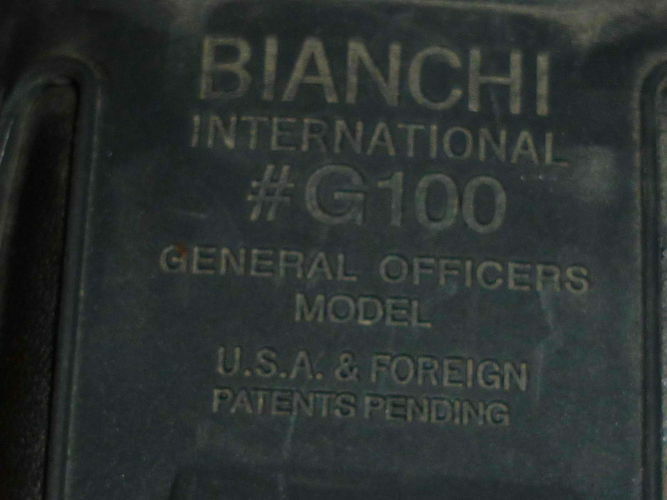 While this uses the Bianchi designed and licensed clip to attach it to the belt, The scabbard is also used for the M11 EOD knife.